« On May 1 Toast National Bike Month with Beer, Art, and Bike Travel! “And a headwind on the way back. Uphill,” he noted. The forecast for today showed 100% chance of rain early this morning, but the winds (15-25mph, according to my weather app) appeared to be blowing the clouds past before they could darken and dump on us and blue skies beckoned. The whipping of the tree branches discouraged me a bit, though. Rain is only discomfort but wind means work. And boy, did I work on my ride today. 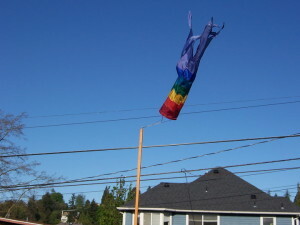 Seattle may not be Ellensburg, where the trees lean all the time, but with the water effects the wind gets quite strong. My route involves some tacking back and forth, so sometimes I had a crosswind and sometimes a headwind. I never, ever had a tailwind — it was work-work-work the entire 10.5 miles. 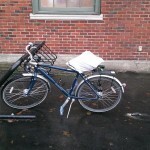 A strong wind at the wrong angle creates a certain sense of insecurity in a turn; the gusts caught my bike like a sail. On the downhills I tucked like a racer to try to minimize my personal windcatcher size. The biggest unfairness of wind is that it steals the acceleration on a downhill that you earned by climbing an uphill. Occasionally it might die down to a bit of breeze and I’d get a little respite. But when I hit the University Bridge, wow! A strong sideways wind across Lake Union swirled pink petals in mad spirals across the road and my bike swayed and veered in the gusts. When I got to downtown with its tall buildings I got a bit of shelter as long as I pointed toward Puget Sound. As soon as I turned onto the wind tunnel that is Second Avenue, though…. Usually I fly down the righthand bus lane, the slight downhill giving me the ability to keep up with traffic pretty well. Today I was just glad there were few cars around as the wind pushed me this way and that. Despite the work, the wind made the air fresh and clean, the sun was shining, and I arrived invigorated by the battle. 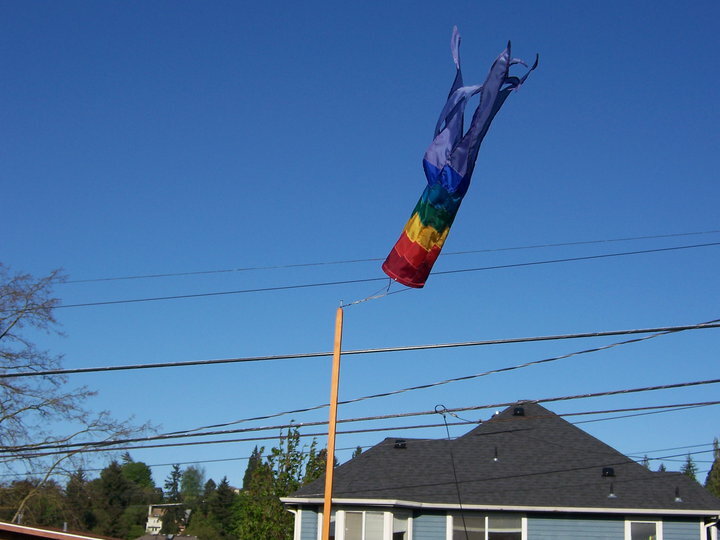 Maybe I prefer wind to rain after all. 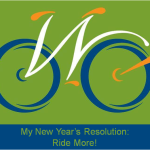 30 Days of Biking: Take the Pledge to Show WA Bikes! Which would you rather ride in — wind or rain? 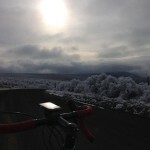 Do you pay more attention to weather now that you ride? #BikeIt: What’s On Your List? 30 Days of Biking, Day 29: Sun! This article was posted in Weather. Bookmark the permalink. Follow comments with the RSS feed for this post. Both comments and trackbacks are closed.